What does it take to kill a monster? I read this article and found it very interesting, thought it might be something for you. The article is called The Road to Ideology. 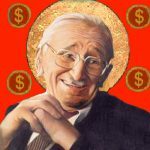 How Friedrich Hayek Became a Monster and is located at http://evonomics.com/the-road-to-ideology-how-friedrich-hayek-became-a-monster/. Just as Dr. Frankenstein couldn’t prevent his monster from running amok, it seems that economists can’t do anything to stop the monsters they created from sowing confusion wherever they go. Some economists act genuinely alarmed but I strongly suspect that others like it that way. They are mad economists and the monsters do their dirty work for them. The creation of the Hayek Monster is well documented and nicely summarized in a 2010 New York Times article prompted by the sudden appearance of Hayek’s 1944 book The Road to Serfdom on the New York Times best seller list. That book was Hayek’s own attempt at popularization but it received two other boosts by a Reader’s Digest version in 1945, which sold more than a million copies, and a cartoon version that was published by the General Motors Corporation in Look Magazine during the same year and widely distributed by GM as a pamphlet. By then the transformation from man to monster was complete. According to the cartoon version, any step in the direction of government planning leads to a totalitarian state. The final panel of the cartoon shows John Q. Citizen being shot by a firing squad. I’m not here to demonize Friedrich Hayek the man. I’m here to demonize Friedrich Hayek the Monster. The man was complex and so was his time. He was horrified by what happened in Germany and his native Austria that led to World War II. His fear that even liberal political regimes can become totalitarian was well founded. Nevertheless, not a single prediction made in The Road to Serfdom materialized and Hayek himself modified his own views. Even in The Road to Serfdom he wrote: “Nor is the preservation of competition incompatible with an extensive system of social services—so long as the organization of these services is not designed in such a way as to make competition ineffective over wide fields.” Later he pioneered evolutionary and complex systems thinking in economics, which was way ahead of his time. Some have even described me as a modern-day Hayek in my approach to economics based on the multilevel selection of complex systems. So let’s have more of some of Hayek’s ideas, appropriately updated to reflect cumulative scientific knowledge between then and now, including: (1) the proper birth of complexity science, aided by major advances in computational methods; and (2) major advances in the study of human psychology, behavior, and culture from an evolutionary perspective. But let’s drive a stake through the heart of Hayek the Monster. Otherwise this cultural demon will continue to run amok, as he did in the 1940’s with the publication of the cartoon version of Hayek’s thinking, in the 1980’s with laissez-faire policies in the Reagan and Thatcher administrations, and again in 2010 when Glenn Beck called The Road to Serfdom “a Mike Tyson (in his prime) right hook to socialism in Western Europe and the United States”, causing it to rocket to the top of the New York Times bestseller list. You’d think that people who were just starting to emerge from the wreckage of the 2008 financial crisis, brought on in part by previous invocations of Hayek the Monster, would know better. What does it take to kill a monster? In part, the full participation of the academic economics community, whose credibility has been strained almost to the breaking point after a series of economic policy failures. Too many experts wring their hands as if nothing can be done to educate the public, which makes me wonder if some of them are perfectly happy to let the public remained misinformed. The academic community has a responsibility to state that Hayek’s predictions in The Road to Serfdom proved to be entirely wrong and his ideas that still have merit, such as viewing economic systems as self-organizing products of cultural group selection, do not support free market fundamentalist views. Economic experts who claim otherwise should answer to other economic experts. At the Evolution Institute, we call this the science to narrative chain. Science is necessary to solve the problems of modern existence but it is not sufficient on its own. 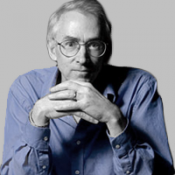 There must also be compelling narratives capable of reaching and animating large audiences. And the narratives must be anchored to the science by a chain of intermediate material so that anyone can learn more, no matter where they start out on the chain. A strong science to narrative chain prevents narratives from becoming monsters. Evonomics is a link in the science to narrative chain for the subject of economics. If you follow up on any article in Evonomics, you’ll find that it’s anchored in good science. That doesn’t mean that it’s proven and final, but it does mean that it is the best of our current knowledge and at the frontier of debates among the experts. Evonomics is a monster-free zone. I have focused on the Hayek Monster in this essay, but other monsters also need to be dispatched, including the Invisible Hand monster, the Equilibrium Monster, the Command and Control Monster, and the Trickle-Down Monster, which lumber around in the popular imagination even though they are six feet under in the graveyard of academic thought. After we have done away with the monsters, we can turn our attention to the ideas of people such as Hayek that still have merit according to the best of our current scientific knowledge. In my next essay, I’ll discuss what Hayek got right about evolution and complexity and how he made a wrong turn. This entry was posted in Economics and tagged Hayek. Bookmark the permalink.